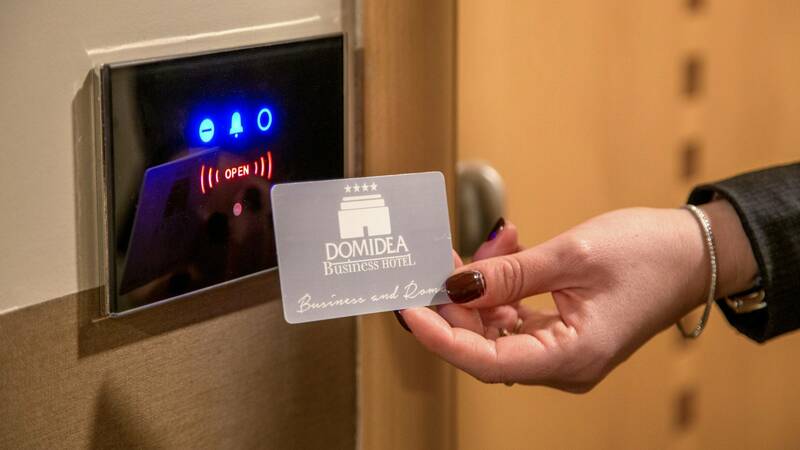 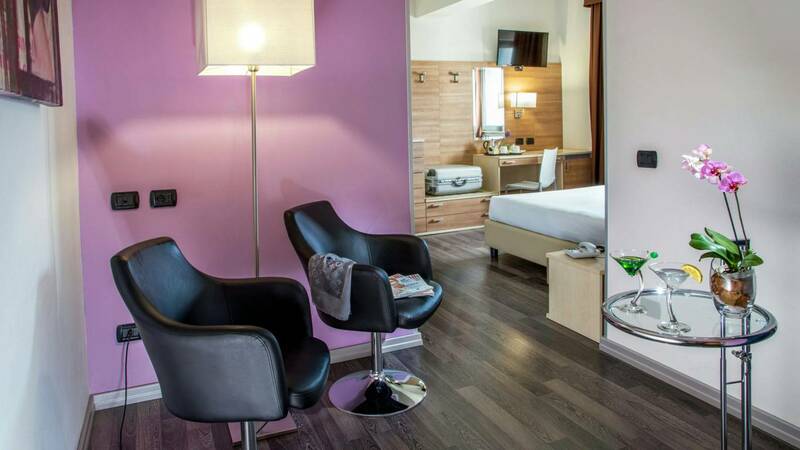 Hotel Domidea is a 4 star business hotel opened in 2009, with a contemporary design and essential details. 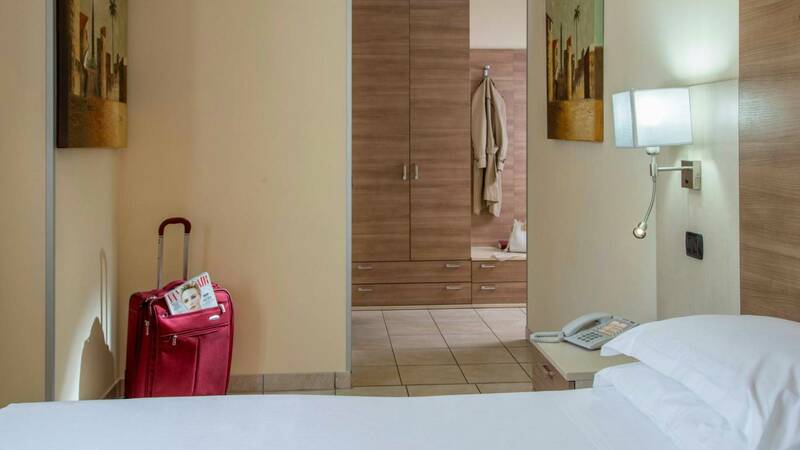 The hotel has 85 rooms arranged on 5 floors, with sober and elegant decor, answering to the most modern standards of hospitality and offering its guests a pleasant and cosy facility, equipped with all comforts. 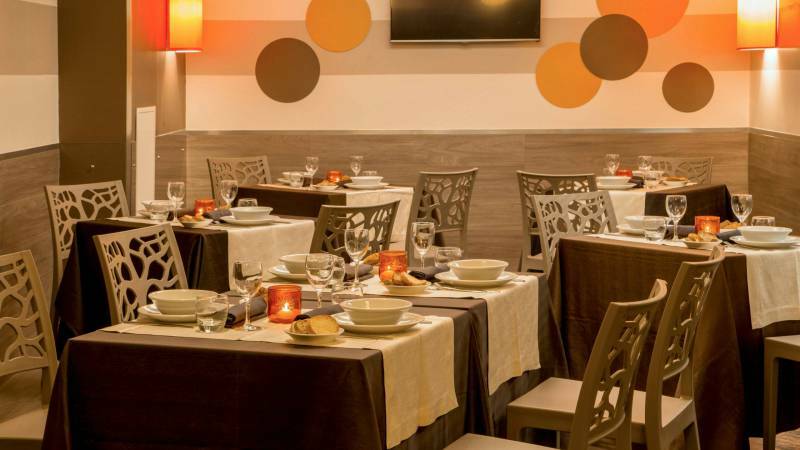 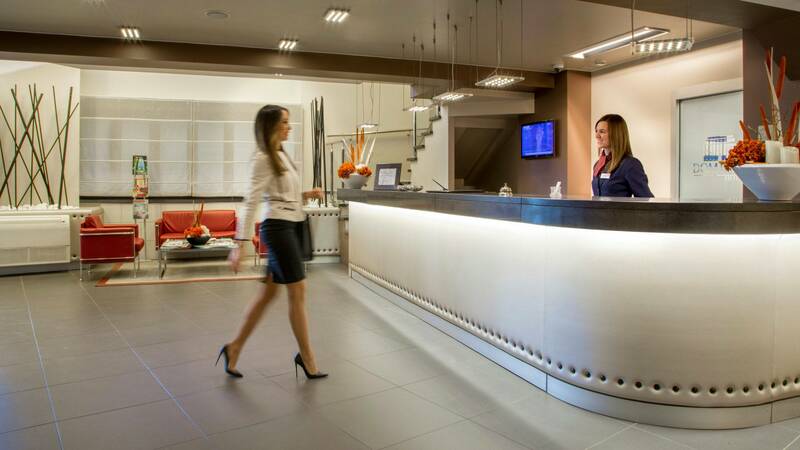 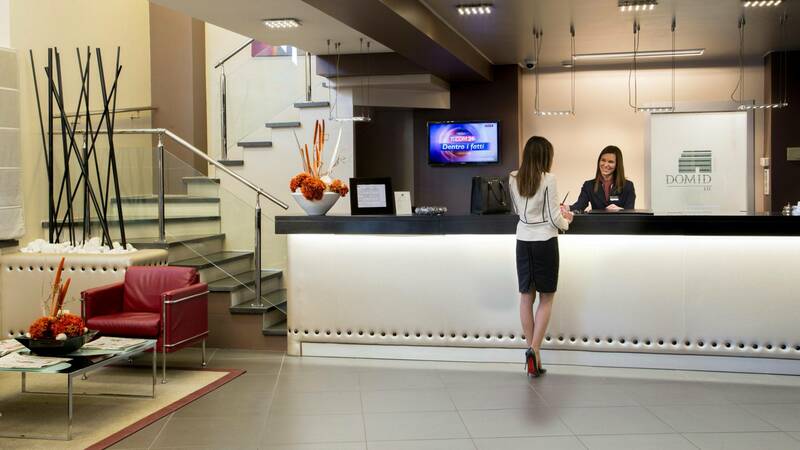 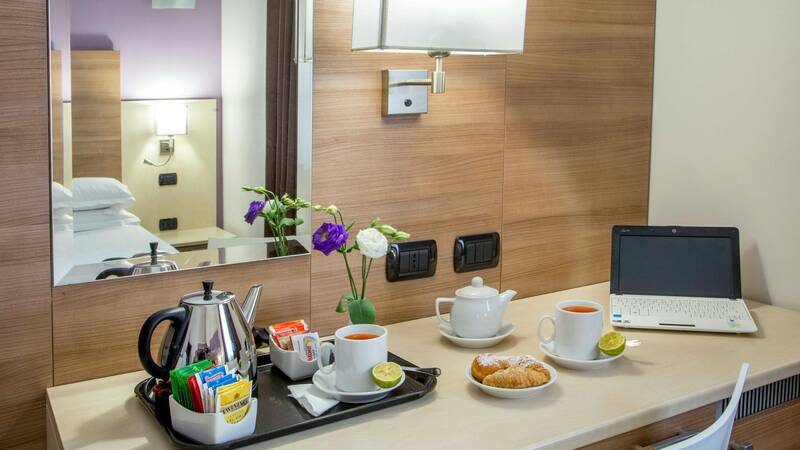 The Hotel is located inside the GRA (ring road), and is convenient for you to reach quickly the city centre, travelling alongside the A24 urban road branch, ensuring as well quick access to the industrial and technological area around via Tiburtina. 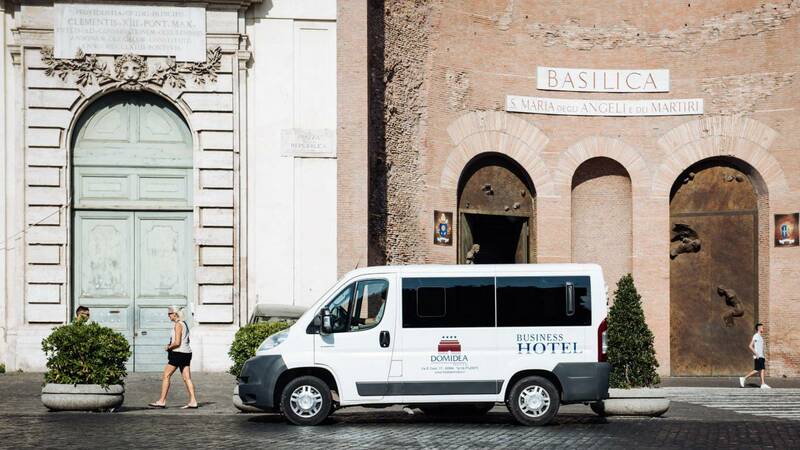 The Hotel offers a shuttle bus service to and from the Metro Stop Rebibbia (B line) on request and on a set scheduleAn ideal starting point for both business travellers and those who wish to discover the timeless beauty of the Eternal City. 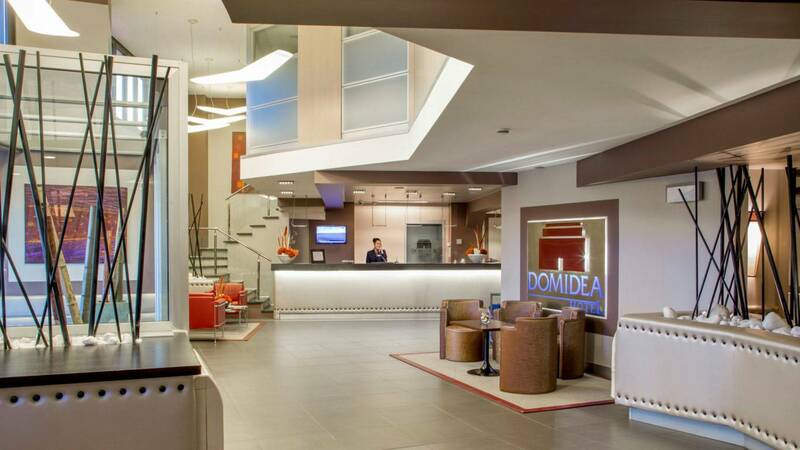 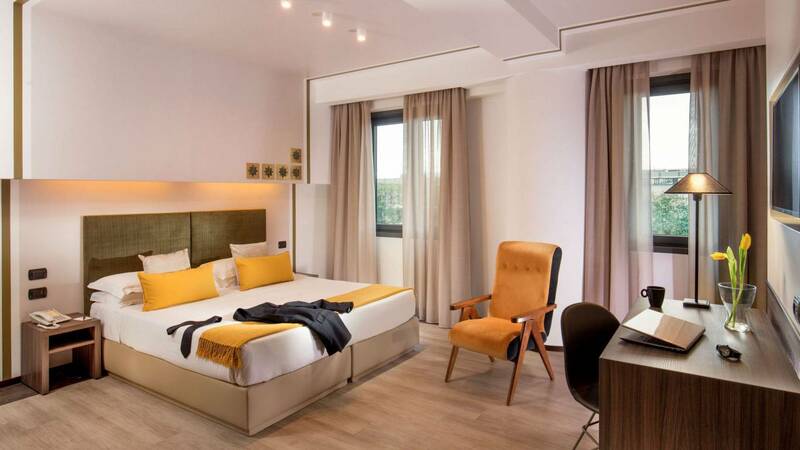 Hotel Domidea welcome a new design as been conceided for thoose who are in Rome for Business but also for vacation. 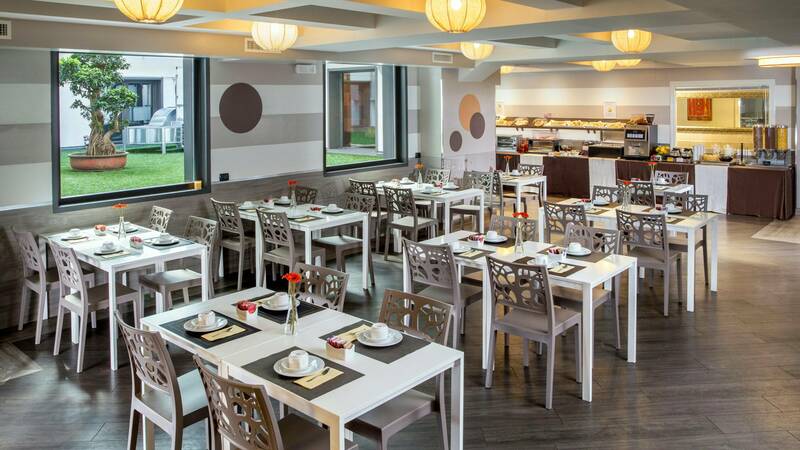 A perfect bland of innovation and style. 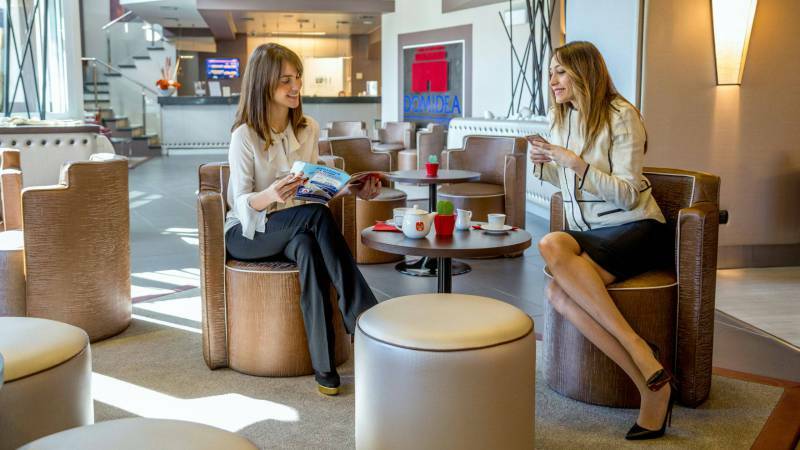 A club that has the right to a series of benefits: discover them right away. 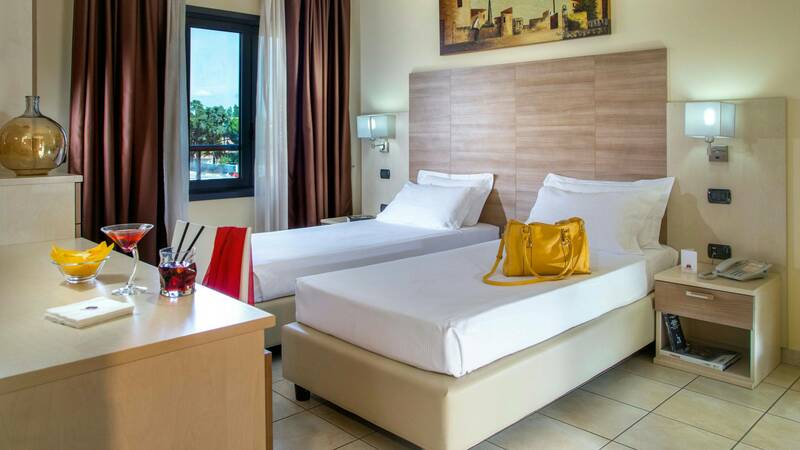 Contemporary Design, Elegance and all the Comfort you want! 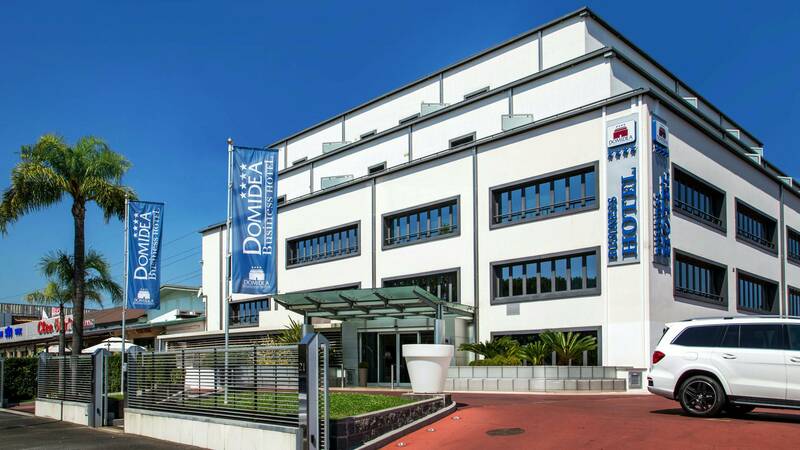 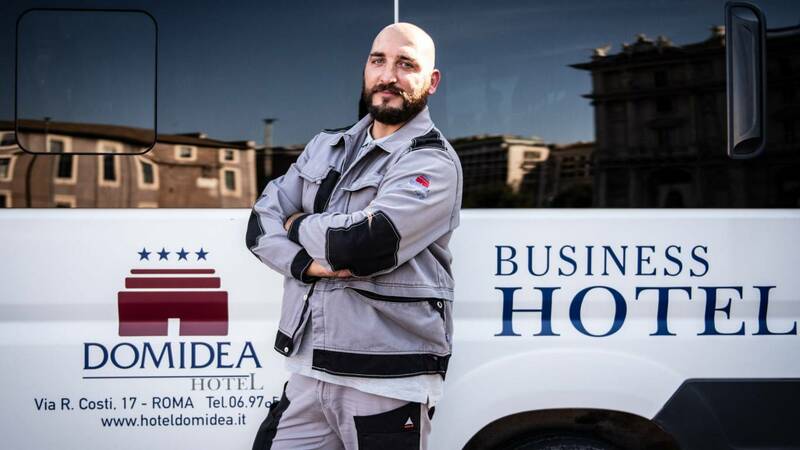 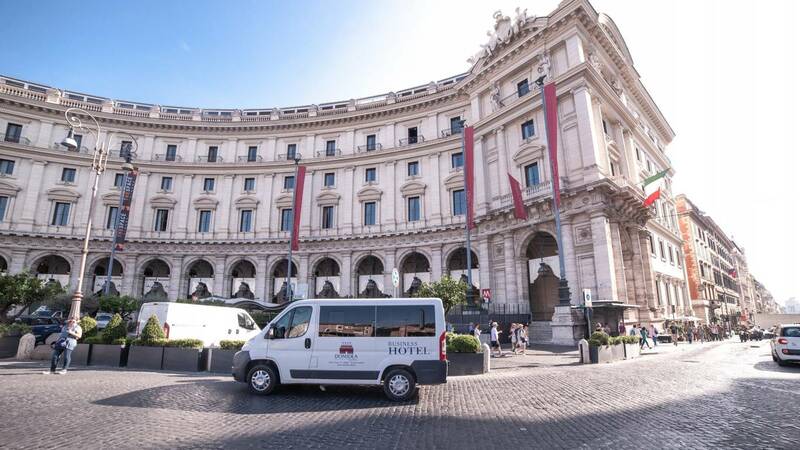 Since September 5th 2018, the Hotel Domidea is even closer to the center of Rome. 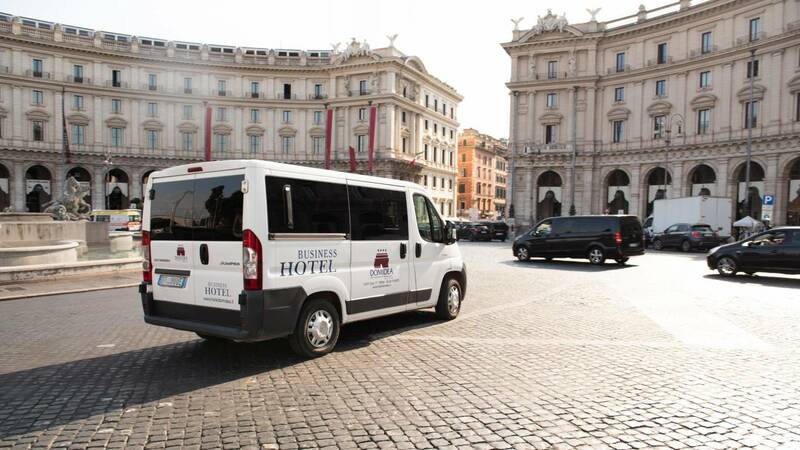 Every day, from Monday to Sunday we offer a convenient shuttle service leaving from the hotel to Piazza della Repubblica at 10:00 am and departing from Piazza della Repubblica at 7:00 pm for the return to the hotel. 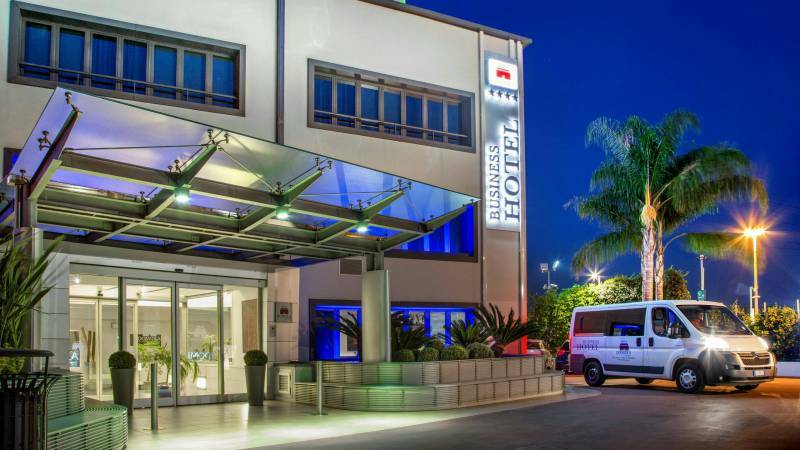 The service fee is € 3.00 per person per way for those who book a Standard room, while is included for those booking the Executive and Club rooms.